Chasing Styx and Reflection of a Fallen Feather are now available on Steam. Both games are also now compatible with MacOS. Reflection of a Fallen Feather has received a minor update to v1.6. What's new with Reflection of a Fallen Feather v1.6? Vertical map change won't reset enemies - defeated enemies stay defeated until the player moves to a new "block." Nest pressure plates unlock more areas. More time to read text during intro and endings. Removed button prompt to advance text. Chasing Styx and Reflection of a Fallen Feather were updated back in the Fall to make the games a bit more accessible. They also feature 100% more Linux compatibility. Find the most recent versions in the downloads section. 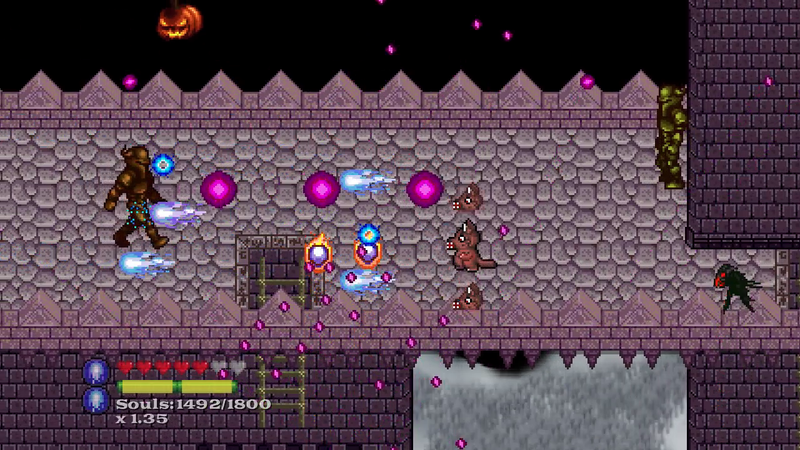 Both games also made it through Steam Greenlight and will make an appearance on Steam in the next month or so. What's new with Chasing Styx v1.3? 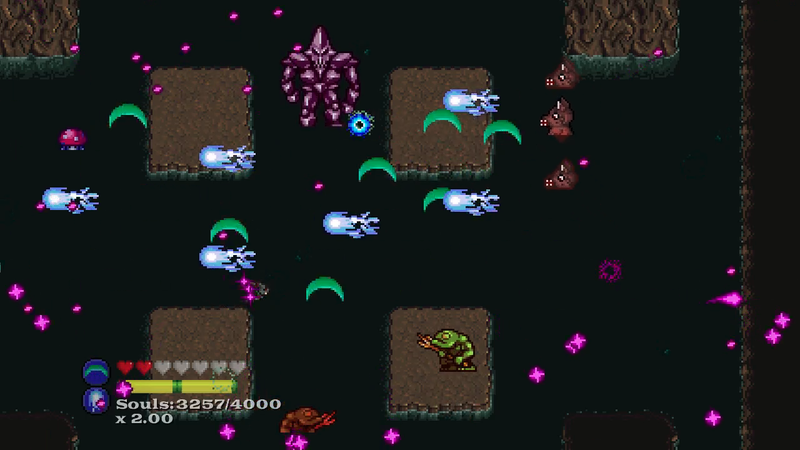 Pretty Puppy difficulty made easier with more checkpoints and greater respawn health. 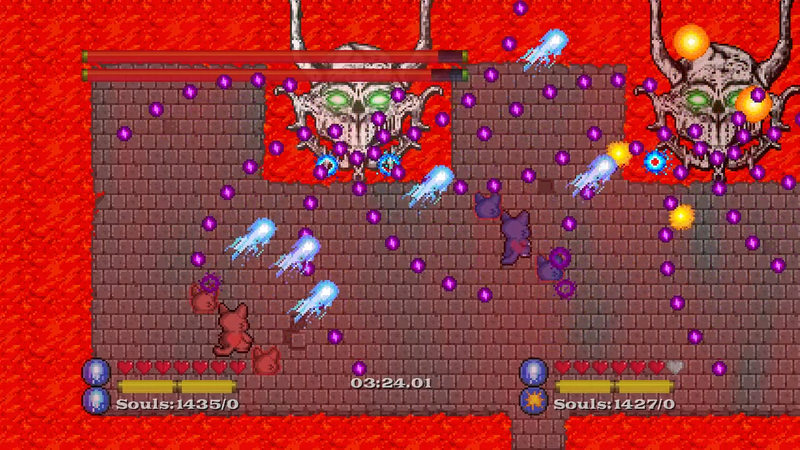 Hell Hound and Demon Dog difficulties remain unapologetically difficult. 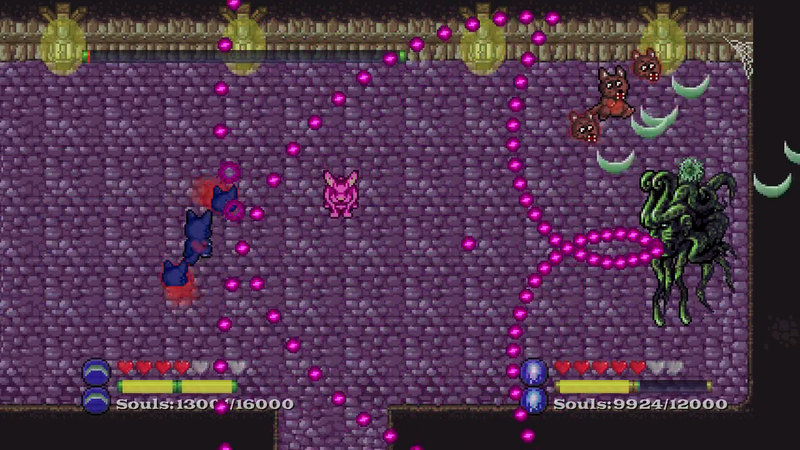 Early game enemy health tweaked down. Fixed screen scroll collision glitch. What's new with Reflection of a Fallen Feather v1.5 EasyType? Can continue the game when defeated in most battles. Black Tortoise health adjusted down. 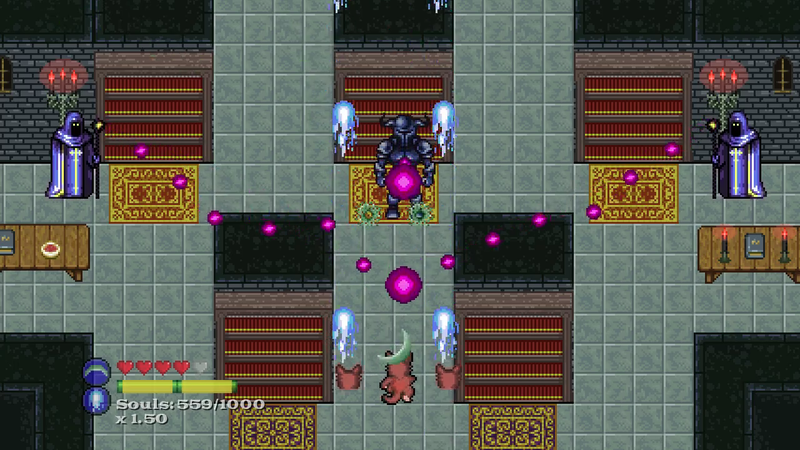 Fixed recurring Mazura battle glitch when reloading game (sorry, no more team of 3 Mazura). In development is Daybreak Union, a small team tactical RPG that will be updated over time as a series of adventure modules. Players explore vast areas in real time - split up the party, sneak around patrolling enemies, jump chasms, dodge traps, and position your characters to get the jump on the bad guys. 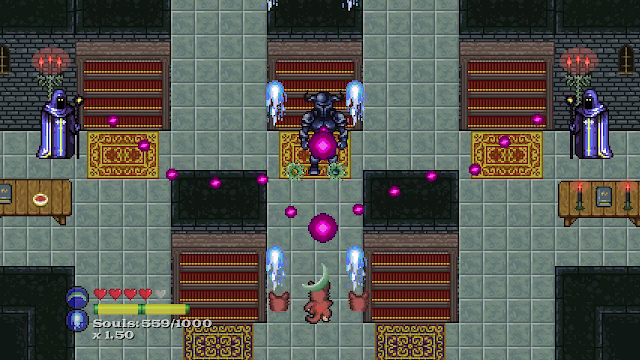 When combat is initiated, the action switches to close quarters turn-based strategy with an emphasis on map positioning. Varied character classes can change the tide of battle but also play an important role while exploring by helping to detect hidden passages, improve encounter initiative, increase visibility, etc. On the back burner is Dawn of a Fallen Feather, a turn-based RPG featuring a light/dark world mechanic and dual party system (with two characters each). The two parties can't interact directly but can manipulate the environment with unique tools to assist each other in accessing new areas and treasures. 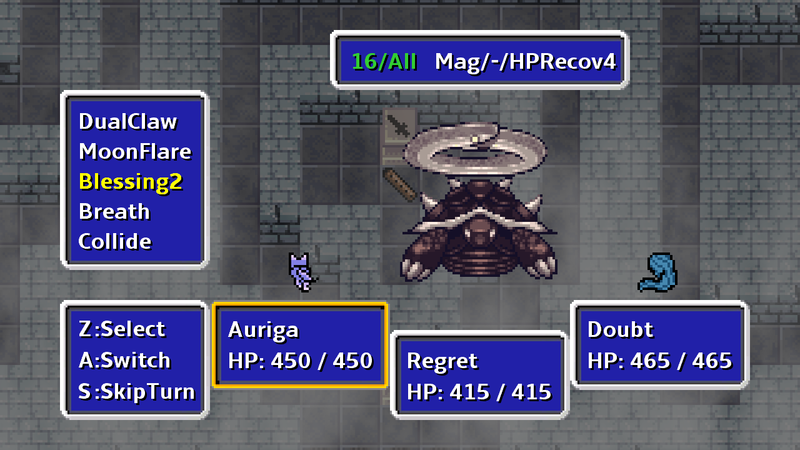 While only one party at a time is active in battle, they can be swapped on the fly a la the character swap mechanic from Reflection. Enemies feature two forms with different abilities based on the current active party. The Windows release of Chasing Styx is available now at itch.io, Game Jolt, and on the downloads page at a pay what you want price. Want to see Chasing Styx as a free game on Steam? Make sure to give a thumbs-up over at Greenlight. Spin those dog heads, dash through some dead, and bark out a fireball because Chasing Styx is available now on XBOX 360 Live Indie Games Marketplace. XBOX challenged and feeling left out of the dance party? The full Windows release will drop in about a week. The Chasing Styx Alpha Dog Edition beta is available now in the downloads section and at itch.io. Purchase the beta today and become an honorary Forepaw Alpha Dog. Alpha Dog purchasers are entitled to all future PC releases as well as a Steam key, Steam Greenlight permitting. Forepaw Alpha Dogs also have the opportunity to achieve fame forever via a spot in the Chasing Styx credits. Simply play the game and submit your feedback to forepawsoft@gmail.com. Sign how you'd like your name to appear (e.g. Skip "Mad Dog" Richards) and let me know if you would like to be immortalized for all time. Want to play on console? Chasing Styx is coming to XBOX 360 later this month. ForepawSoft presents Chasing Styx, a couch co-op, run-n-gun, bullet-hell, cute ‘em up for release on Windows PC this summer 2016. In Chasing Styx play the role of Cerberus, feared guardian of the Underworld. 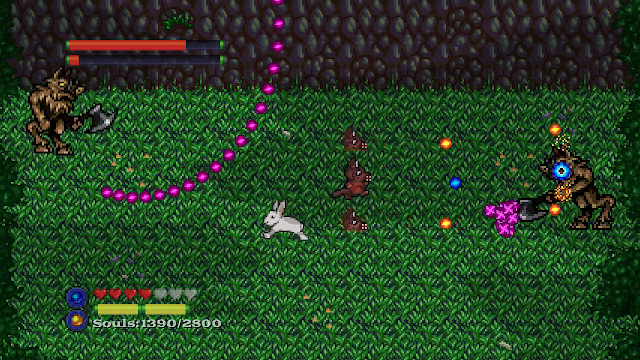 While sleeping on the job, a herd of woodland bunnies hopped into the kingdom of the dead. 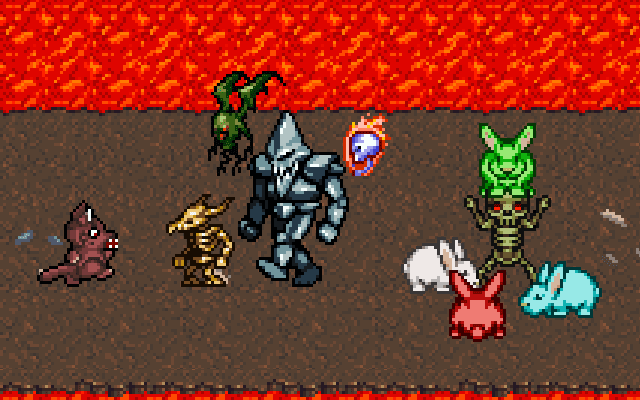 Hades is not pleased – the boisterous bunnies are distracting the dead from their endless torment. 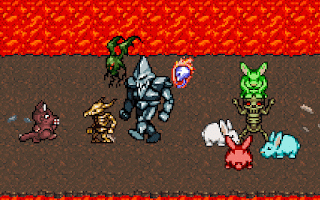 Find your floppy-eared friends and get them back across the River Styx before hell freezes over. Explore the far reaches of the Underworld, including a forest bathed in darkness and a cursed bell tower. 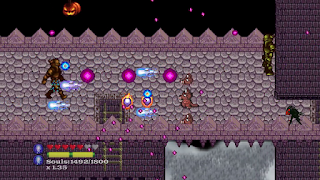 Levels can be approached in any order and feature multiple routes filled with disgruntled dead, tricky traps, hidden treasures, and screen covering waves of bullets. 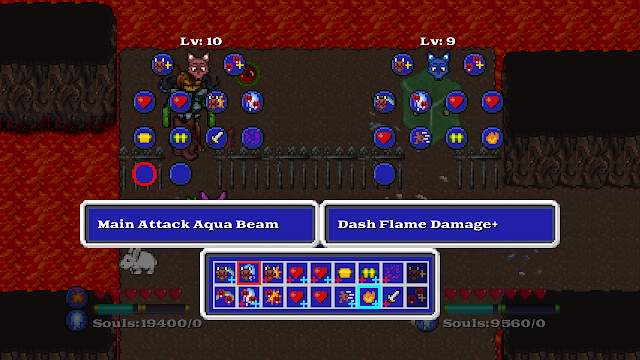 Defeat armies of the dead and collect their souls to level up and equip additional attacks and abilities. Two player local co-op is supported so bring a friend to help conquer the fast-paced action and frenetic boss battles. 2016's premiere three-headed dog simulator. Probably. Reflection of a Fallen Feather - PC release now available! The PC Windows release of Reflection of a Fallen Feather is now available in the downloads section at a "pay what you want" price. Enjoy!